Of these three, the average length of time between assignment submissions was found to be most useful to predict final letter grade and withdrawal. Students with shorter amounts of time between assignments were more likely to complete successfully. Check out the full article online in the Distance Education journal. While one could argue that an instructor is needed to keep students’ on pace, some of the students in this study did very well on keeping a regular pace. That self-regulation skill is critical for life, don’t you think? Good to learn and practice. Do you think that learning analytics such as this, watching student behavior in an online course, is useful for predicting completion? useful for planning interventions for students not doing so well? Is it intrusive or useful? Should we try to find a threshold for success? If we did, what interventions might be appropriate? What questions does this result raise in your mind? Please comment. Understanding the publishing process is the key to getting published WHEN and WHERE you want to be published. Publishing is a futures game – you want to know what is going to be of interest and salable 1-2 years down the road. It’s going to take 1-2 years to get published. Expertise – what experience do you bring to the project? What education do you bring to the project? What credibility do you bring to the project? What do you bring to the table as an author? What can you write about from your personal knowledge base? Interests – how does your vocation contribute to the project? What are you really interested in? Market research – what is the marketplace for your project? Know the journals in your field. Those journals are your specific journals. What specific market best suits your project? Does your project match the market? Most journals have a set focus. Find where you fit in. Don’t try to plow new ground. Read the journals. Read a book or two from the publisher you’re aiming for. What type of writing style and scope does this publisher look for? This may change over time, so look at recent editions. What will the market accept? Tailor your efforts to what looks like that market. Accessibility. How to get information out quickly. Abstracts. Keywords. Epublishing. Anthologies. Personalization. Writing used to be more impersonal; but now we want a face and anecdotes. Distillation. Be succinct, focused, concise. Find the niche that fits your project. Book as presenter/instructor support. If you aren’t prepared to hawk your own book, they don’t want you to publish. Buying E-Content: buying a chapter, an article, a piece, a section. If people can buy a piece of the work, that changes how the work is structured. i.e. chapters may need an abstract and keywords. If you do your research, you should know whether you will be published or not. Find out what the editor really wants. 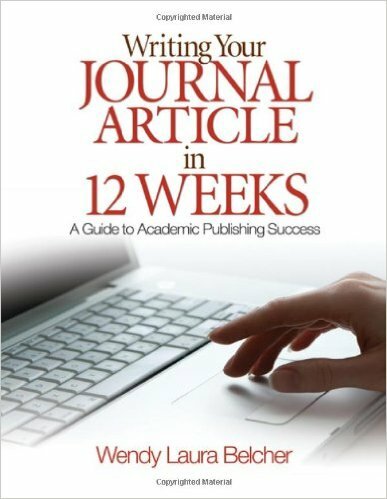 Most academic journals do not have professional staff; someone is doing it on the side to their regular work. You can always withdraw a piece of the journal accepts it but doesn’t get around to actually publishing it. Be a partner with the editor – suggest reviewers; respond thoughtfully to critiques, revise as they ask, proofread carefully. Afterwards, there may be reviewers for a Book Review, etc. Where possible, link speaking and consulting to the publication; conference sessions, etc. Extend through electronic networking, twitter, LinkedIn, etc. His resources and PowerPoint are online at his site under Resources. This action research at USDLA 2014 was presented by Karen Ferguson & Renee Aitken from Northcentral University. They were looking at students’ first course success as a potential predictor for their overall program success. They are serving working adults, and they start a set of classes every Monday. They took an interesting presentation approach by first having the audience discuss in small groups whether we thought the first course success could predict program success or not. In that discussion, other potential factors were suggested, including the important of how the student liked the teacher, how they liked the LMS, their completion of a previous course, etc. We also discussed what factors might influence attrition, including a non-responsive instructor, life factors, the amount of work/rigor, self-directed ability. In their study, they looked at the student’s occupation, students’ grade in the Foundations in Graduate Studies course, their introduction to online and higher ed for adult students, and if that GPA might be a predictor of persistence. This presentation was very interesting to me as we are looking at various variables for student successful completion of courses, with our greatest registrations from students who are filling in the gaps in their schedule or required general education courses. Blogging yet another AERA session. Reading is very generic, and listening is different. Reading is static and written by one author usually. It’s written in segments – it’s different than reading. This is such an interesting and useful differentiation! This is from the e-listening research project. Question: I wonder what kind of studies are done on student behavior in face to face classes of how much time they spend on homework, reading etc. Is anyone curious about that too? Or are we mostly interested because we are trying to figure out how to do online learning well? Listening types: Disregardful with minimal attention to other’s ideas; Preparatory – listening to prepare to contribute; Social – focusing on peer posts; Targeted focusing on instructor’s posts; Interactive – building on ideas; Reflective – where it’s dialogical and changing ideas; potentially thinking about adding Coverage – focusing on the content knowledge. Big takeaway – more isn’t necessarily better in the discussion – more reading or more posting. Thinking: Hmm. What does this mean? Does it mean instructors should change requirements? Certainly it’s good to think about what students are doing when they aren’t posting. How does this data help us think about what students are doing? As I start to think about how to train faculty to teach online… I can see that I have much to do and learn to explore my own thinking on online discussions and what others are thinking about it. Discussion boards are ubiquitous in online learning –but instructors aren’t clear on what they want students to be gaining from the discussion. Hmm. What are the student outcomes I’m looking for in my technology integration classes? Need to think about that more. What do I expect faculty to expect to see in their online learning? Giving the federal requirements for “interaction” in online learning, what do we mean by that and what are we looking for? In a previous study: Social posts by instructors were most likely to affect the students’ grade. ; Low achieving students made more agree/disagree posts. ; Teachers varied in weighting of discussion from 10-25%. This study looked at the behaviors of instructors and students in the discussion board and the students’ achievement in the course. Collins & Burdge’s 1995 typology of instructor posts: Pedagogical, Social, Managerial and Technical. Codes for students: social development from Cox & Cox 2008; and Critical thinking Slide went by too fast for me to catch this. High achieving students did more posts with synthesis. This seems to fit well with the previous paper – and raises the question – how do we teach/nudge/encourage low achieving students to do more synthesis? What can help them know how to do that? I think it’s more than just nudging them…. Do they need it modeled / taught / scaffolded? If self-regulation is so critical, how do we teach students to self-regulate?? They compared online discussion boards vs. blogs. Does the format have an impact on learning community? How do you model in an online course the strategies P12 teachers should use in their teaching? Is it possible to model instructional strategies online for teachers to use in face to face teaching? Is this why some places don’t allow methods classes to be taught online? Still thinking here. They wondered why everyone uses threaded discussions and what would happen if you did this some other way – such as with blogs. Blogs had longer initial posts; and more responses, and longer word count for the responses. Discussion had more back and forth dialogue; more on topic responses; more academic responses vs. personal responses. Discussions had “school based talk” whereas the blogs were more like “podium talk”. Interesting to connect this back to the first paper where they were trying to tease out the listening behaviors. Blogs seem to fall even farther on the continuum for less listening and making connections with what other people said. Students were much more satisfied with the learning and engagement with the blogs. The students really like the social conversations that happened on the blogs. Discussion boards do a really good job at knowledge building community; whereas the blogs facilitated a community of practice. The blogs had more photos and videos also. The blogs facilitated a different type of discursive practice. This study is really interesting. Does it mean then, that students want to KNOW each other – and the “extras” “non academic” conversation helped them feel connected to each other. In online discussions, how do they get to know each other? In the Q&A afterwards, a statistician who teaches online pointed out that the blogs had more academic posts overall. Do people post more academic when they feel more connected to each other?? Collaborative Video Annotation. Students viewed the same teacher video, and then they posted comments on the video instruction – and their comments are right on top of the video. I think they are doing this on YouTube with the annotation options. Scaffolds: learners had to add one annotation. Then they had to go back and experience the annotations and add three more. In comparing to control group of asynchronous discussion, the students created less posts with more words. Thinking: While the video is cool – one of my take-away from this session is the idea of modeling where the instructor planted sample posts that were the type of responses he was looking for. This would be harder to do in an asynchronous discussion board – the YouTube video allowed for these posts to be added ahead of time. This partially answers my question of how to teach students how to do these kinds of discussion posts. To sustain higher order thinking, students need help and scaffolding – and this annotated video discussion is a way to scaffold the task for students. The full paper is online here. Problems with wikis – students are reluctant to edit each other’s work, just as Justin mentioned – the strong individual ownership of writing. Can we define the collaborative writing process? 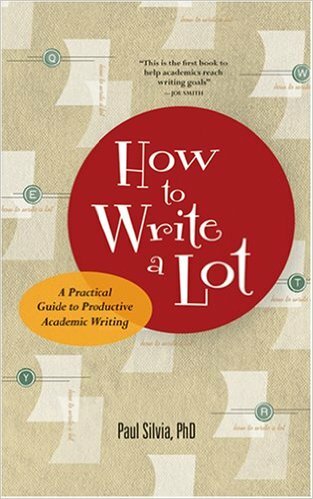 What processes identify individual vs. collaborative writing? These conversations are making me think about my own collaborative writing. Collaborative blogging the 20 Days Challenges with Roxanne Glaser: it included collaborative brainstorming; shared posting on both of our blogs; some posts we wrote alone; some posts one of us would start, the other would come along and add to it, then someone would polish it up into a final document. It seems that the process of collaborative writing isn’t necessarily set in stone – and needs to be fluid and include back & forth editing and contribution over time. This study generated a coding scheme and then coded wiki postings to analyze what type of editing happened on the wiki pages being analyzed. Another learning for me from each of these sessions are the research methods. Dr. Jeong has over the last 10 years developed a Discussion Analysis Tool which is a software tool for analyzing discussion linearly or hierarchically. Interestingly, given my reflection above, his data shows a pattern in the collaborative writing: first adding paragraphs, then a first round of edits, then a second round of edits. I didn’t catch the context of these wikis, which would be interesting to know as well. It seems to line up well with my own collaborative writing experience. In the Q&A, someone asked about people who draft things quickly, and those who are good editors. It’s a good question and interesting thing to think about when you consider what we might expect from students working on a wiki. What skills do we really want out of them?? Here I am about to listen to another session, realizing that it’s mostly K12. Since I’ve just come from the K12 arena, it feels familiar. But I’m also curious if anyone is doing engaging things with wikis on the higher ed level also. I am glad to see the emphasis on imposing some type of scaffolding or structure on the wiki to teach and encourage the desired collaborative behavior. Using a technology tool without some instructional goal, scaffolding, and planning usually results in disaster or at least less-than-desired learning outcomes. The data they are looking at are publicly accessible wikis with real-time data easily included. Research questions include: What is good? How to measure wiki quality? How do wiki quality trajectories correlate with school level SES? Interesting concept: “Quality would be a time varying quality over time.” The quality isn’t a single point but a trajectory. The wikis studied range in median life from 6 days (low income schools) to 33 days (median-high income schools). Theoretical debates in wikis and collaboration in IJCSCL – Glassman and Kang (2011) – meaningful collaboration vs. Dohn (2009) – just posting in the same place. If you put files in the same place, is that collaboration? This is interesting because it comes back to – what is collaboration? What do we mean when we say collaboration? Makes me think of Mark Elliot’s work on Wikipedia and other massive collaboration. He differentiates between coordination, cooperation,and collaboration. Data collection interesting details: They looked at 179,851 publicly viewable education related wikis on PBworks between 2005 and 2008. Wow!! BIG DATA research. Took a 1% research sample. 255 of the wikis they could identify what school and were able to correlate that to the SES data on that school. The Wiki Quality Instrument has 24 dichotomous items (is it present) within five categories: information consumption, participation, expert thinking, complex communication/collaboration, new media literacy. The trained researches looked to see if that item exists or not on the wiki. They looked for those 24 things on the wiki across time – 7 days into it; 14 days into it; etc. all the way up to 400 days. What a lot of work!! What is Collaboration? Are Wikis Born or Made? He shared several graphs and statistical details to show how they looked at the data to see if the wikis are born or made – and it seems their quality stays the same for most wikis. If they do grow in quality, it tends to be at the beginning of the life of the wiki. In addition, the vast majority of wikis aren’t collaborative – they are teachers posting materials or students doing individual pages. Would that be coordination in Elliot’s taxonomy? It’s incredibly important to impact the genesis of wiki projects – because how they start out tends to be how they interact the rest of the time. Also that how people first experience an online learning community is how they will continue to think that is what you do in that online learning community. This worries me quite a bit… I’m thinking of faculty who start using an LMS such as Moodle to put their syllabus online. Then they want to teach online, and think that all that means is to put “stuff” online vs. designing engaging interactive learning opportunities. This deserves more reflection and planning! 90% of the wikis they looked at didn’t have an interaction where the students were working on the same page. Does working on the same page mean collaboration? Students have incredibly strong individual ownership of text, which makes it very difficult for them to write collaboratively where the text is truly a combination of everyone. Hmm. Makes me think of a paper we’re working on for a conference next week – where it is currently in the stage where everyone wrote their section; but soon it needs to be massaged to be coherent across everyone. High level complex communication happens when ALL the other types of communication are happening. Interesting. Informal co-creation projects also have these same graphs – 2% of projects have more than 10 developers. Clay Shirkey has similar graphs for contributions to Wikipedia and other mass collaboration projects. Is it really just standard human behavior that 20% of the people do 80% of the work? Work is needed on how to develop strategies for scaffolding online student collaboration. If a wiki rubric is looking for x number of paragraphs, x number of links, and x images; then the teacher is evaluating students’ ability to follow directions; not the high level 21st century learning skills the teachers might say is why they are using the wiki in the first place. Pretty strong message on thinking through assessment. In the Q&A, an interesting discussion of what collaboration is and what quality is. Justin thinks that it’s really that two students have text on the same page. Someone questioned that though – could collaboration and quality be much broader than that? He agrees that their instrument misses much context. Another person added that another indicator might be how linking happens. Makes me think of Silvia Tolisano’s recent writing on hyperlinked writing. This may be another piece of wiki quality as well. A practitioner in the room asked, given all this, what is the point of using wikis in my classroom? Flat Classroom came up several times. Justin gave the example of southern all white students who are strongly anti-racist because of their participation in Flat Classroom. That is very powerful learning.